Broken or missing teeth? Don’t worry, they can be restored using crowns or bridges. We have an expert dental team in North Beach that can deliver outstanding tooth restorations made from porcelain, metal fused porcelain, or gold. Our dentists will examine your case and suggest the best option for you. You can then select the right material for your teeth. We get patients from several locations including Carine, Watermans Bay, Marmion, and Sorrento. Crowns fit at the gum line and cover the entire tooth, thus offering adequate protection. Most crowns have an exterior made of tooth-coloured porcelain fused to a metal base or full porcelain.. At , our dentists will help you choose a shade that matches your teeth to ensure that the crown looks similar to your natural teeth. You will need a crown after getting the root canal treatment because non-vital teeth are more likely to crack. Bridgework functions like a sequence of connected crowns that replace the missing teeth by joining the gap. 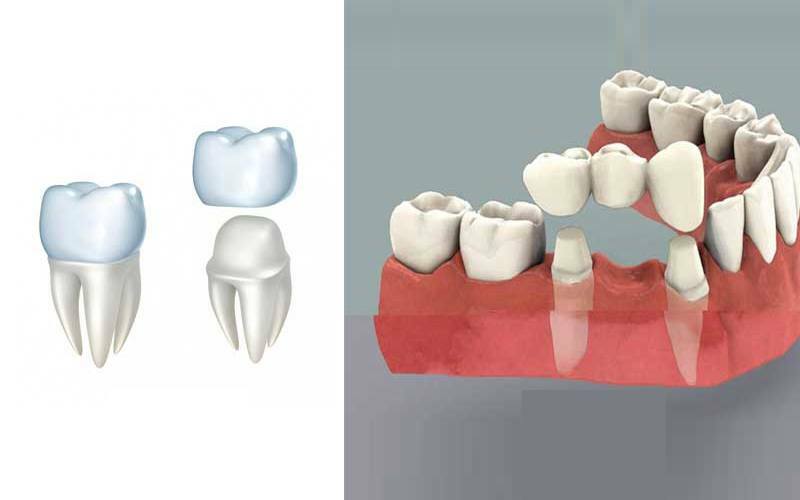 Bridges use the surrounding teeth as abutments. Some bridges are fixed to the tooth next to the gap with a powerful bonding agent. Others have crowns at each end. The latter option is stronger than the former but requires more tooth preparation. It's all done in a painless way! There are several processes that involved in the bridgework. Examination:The dentist will take X-rays to determine if you're the ideal candidate for crowns. Then they will give you local anaesthesia and make room for the crown. Tooth preparation: The dentist will use a special paste to make an impression of the tooth. They will create a temporary crown for your teeth. Permanent crown:If the crown fits perfectly and is well-adjusted to the rest of the mouth, the dentist will cement it permanently. Otherwise, they will make adjustments before cementing it. Once the procedure is done, our dentist will also advise you on ways to keep the bridge clean. Missing teeth shouldn't be a problem anymore!